Product information "High quality steel tap"
As an option, we offer the installation of a stainless steel spigot in your barrels. 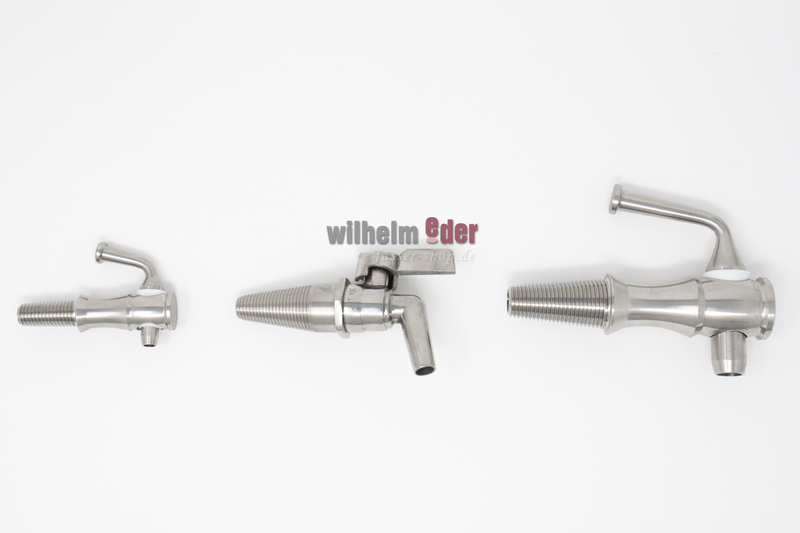 This spigot allows the professional tap from the barrel, can be removed for cleaning and meets the modern food law conditions. 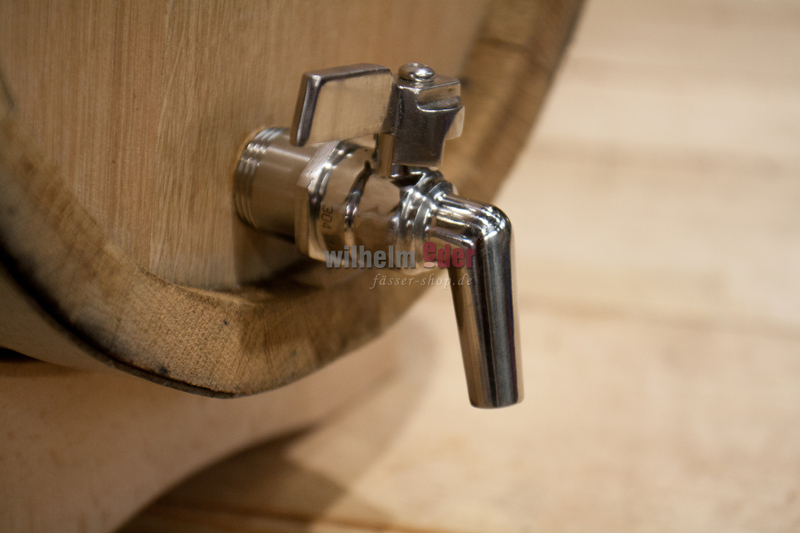 In connection with the order of a wooden barrel, we install the spigot without extra cost. The classic with inner ball spigot. We recommend this high quality spigot for all barrels off approx. 10 liters content. 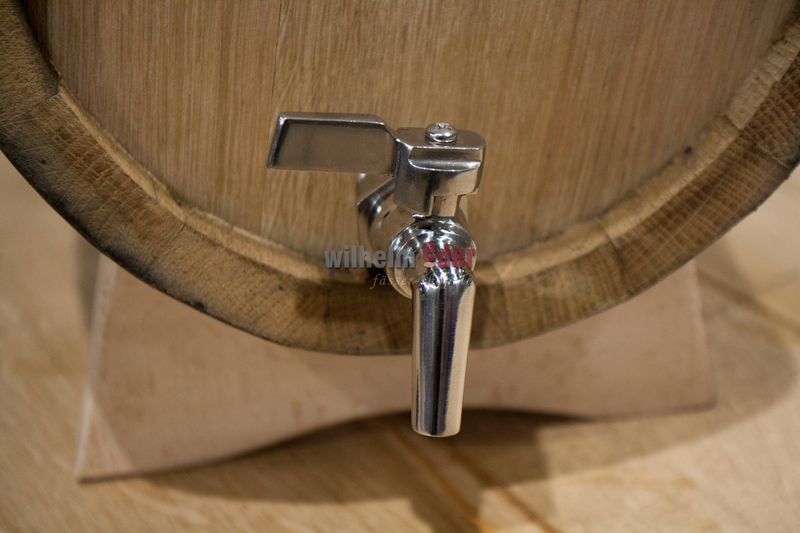 If you want to install the spigot yourself in a barrel, you should consider: You need a 20-hole in the barrel. The spigot is from the end of the thread (barrel wall) to the end about 55 mm long. The drain hole is about 9 mm at full passage - this is a small ball spigot! 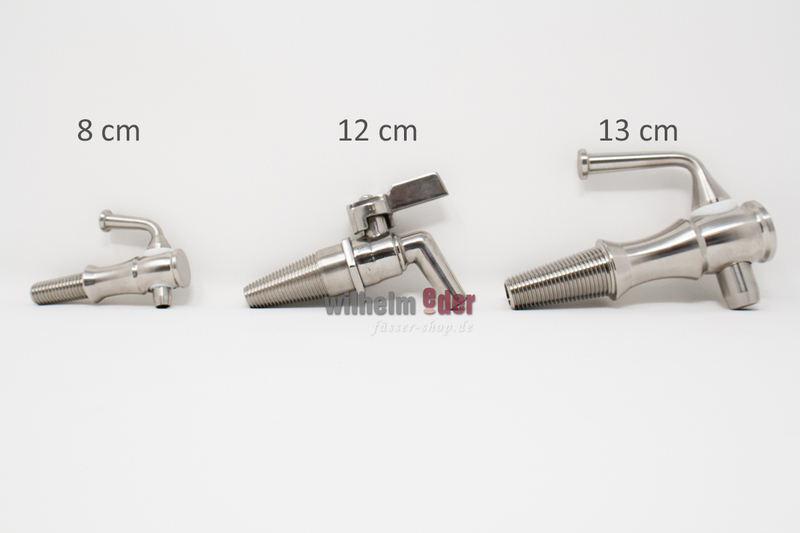 The spigot has a thread length of 40 mm + an intermediate cone - see also illustration.